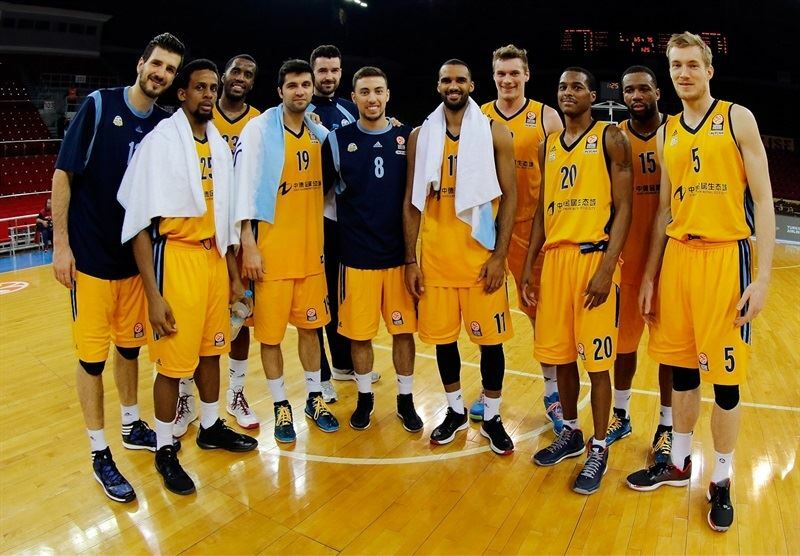 ALBA Berlin held on for a tough 65-75 road win at Galatasaray Liv Hospital Istanbul on Thursday. 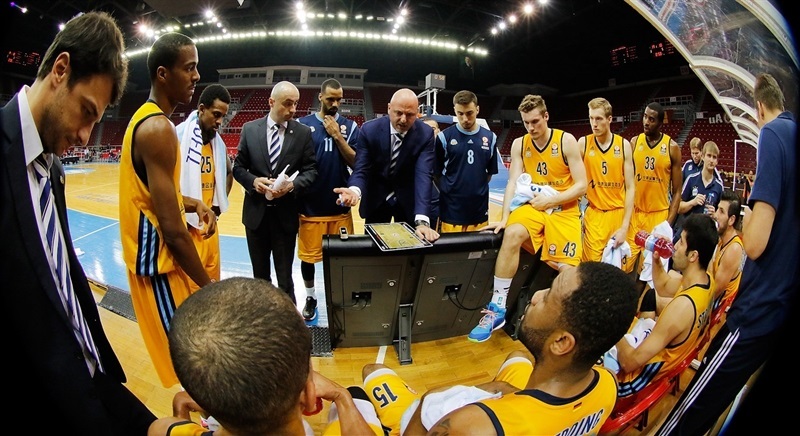 The game was tied three times in the fourth quarter alone and the visitors led by just 2 with four minutes to go, but Coach Sasa Obradovic’s men locked down on defense and Reggie Redding and Vojdan Stojanovski hit back-to-back threes to help secure ALBA first road win of the Top 16. 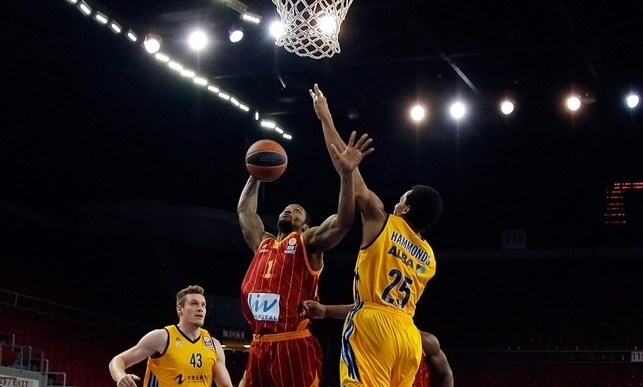 The result lifted ALBA to 2-2 and dropped Galatasaray to the same record in Group E. Redding led the ALBA attack with 16 points, Marko Banic scored 12, Alex King 11 and Alex Renfroe dished 9 assists for the victors. 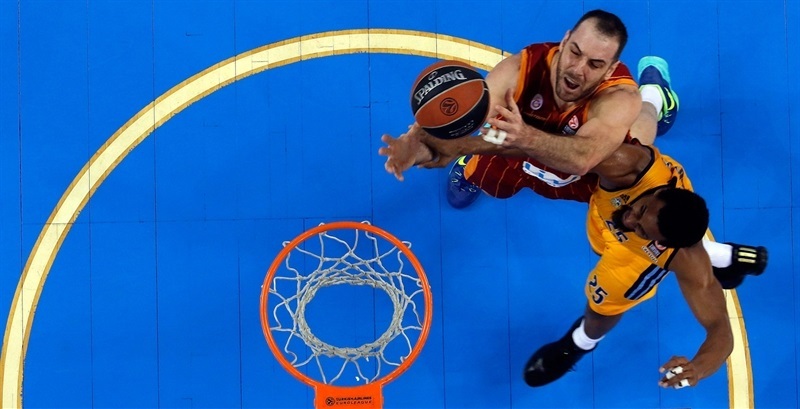 Zoran Erceg scored 19 for Galatasaray, which was without starting point guard Carlos Arroyo due to illness. 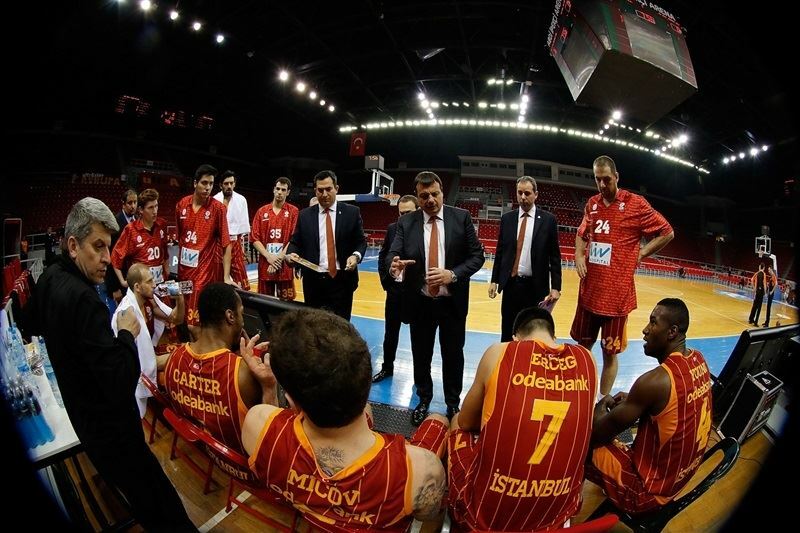 Vladimir Micov added 15 points and Justin Carter posted 13 points and 5 assists in defeat. 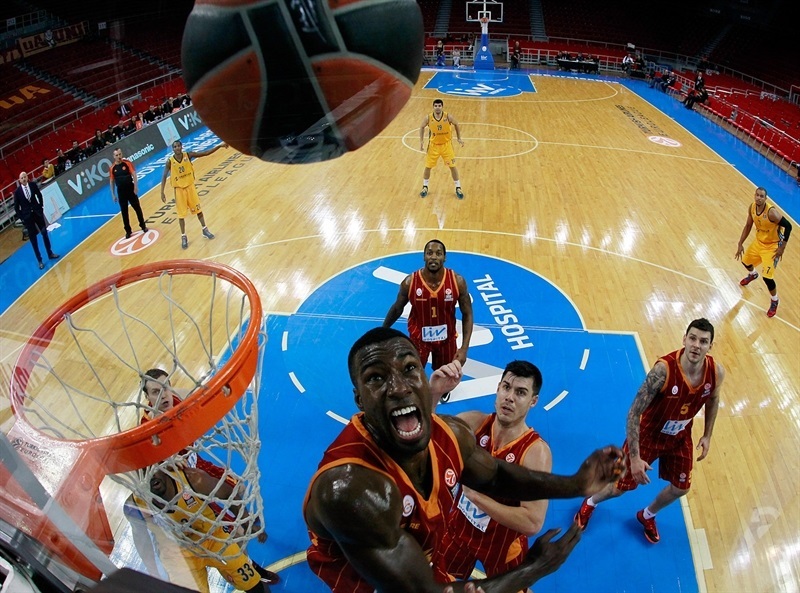 Micov got Galatasaray going with a three-pointer from the corner and a free throw by Patric Young gave the hosts a 4-0 lead. ALBA was held scoreless for more than three minutes and a second-chance layup by Erceg capped a 6-0 opening run. Redding stepped up with a five-meter jumper, which Young erased with a wild alley-oop slam. 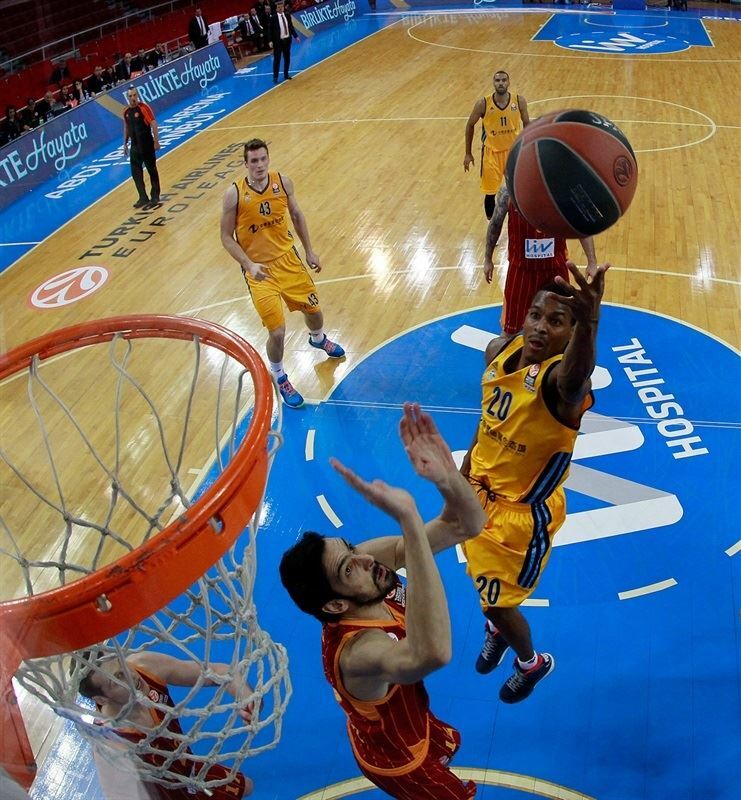 Young split free throws and a catch-and-shoot three-pointer by Cliff Hammonds brought ALBA closer, 9-5. After Leon Radosevic dunked off a midcourt steal, Erceg hit free throws. Stojanovski sank a jumper from the elbow to make it 11-9. Micov answered from downtown, but Stojanovski also hit one from beyond the arc. Erceg and Renfroe joined the three-point shootout and King also struck from downtown to give ALBA its first lead, 17-18. Free throws by Erceg gave Galatasaray a 19-18 edge after 10 minutes. Carter dunked off a midcourt steal early in the quarter and Martynas Pocius provided a highlight with a wild, off-balance layup that made it 23-18. Jamel McLean tried to change things with a power basket, which Kerem Gonlum matched with a finger-roll layup. Micov sank his third triple to cause ALBA to stop the game at 28-20. Stojanovski found Banic for a backdoor layup. Banic scored again and Akeem Vargas followed that with a corner three that brought ALBA within 28-27. 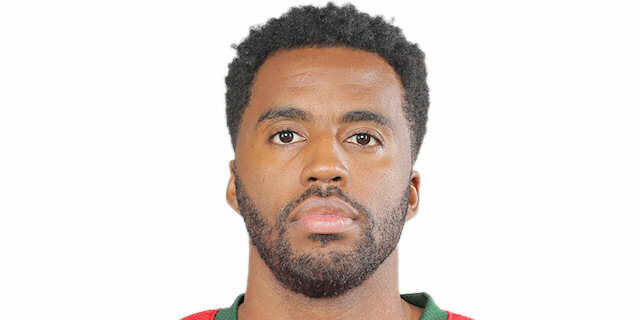 Galatasaray struggled to score until Carter stepped up with a driving layup, as due to their circumstances, the hosts tried Kristijan Nikolov at point guard for the first time this season. Banic kept pacing ALBA with a layup. Carter and Micov made free throws and King dunked off a steal to fix the halftime score at 33-31. 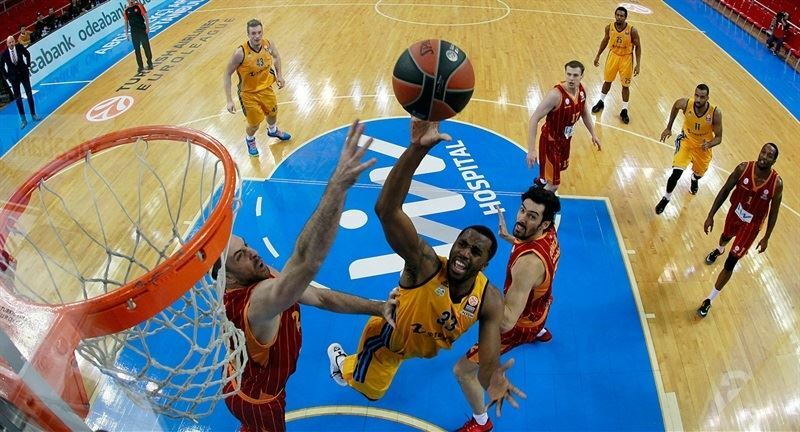 Redding put ALBA ahead with a three to start the second half. A confident Sinan Guler drove for a scoop that made it 35-34. Micov buried a three – his fourth – from the corner to make it 38-34. Redding added a pair of jumpers sandwiched around Guler’s drive for a layup. Banic tied it at 40-40 with a baseline jumper. McLean added free throws and Alex King drilled a triple to cap a 0-9 ALBA run. Young slammed in a Pocius miss and Carter took a steal in for a slam. Banic made a short jumper, but the hosts soon regained the lead through Young, 48-47. Cliff Hammonds split free throws to tie it again. Stojanovski found Radosevic for a two-handed jam with a minute left in the quarter. Renfroe dished to Redding in the final seconds of the quarter to make it 48-52. 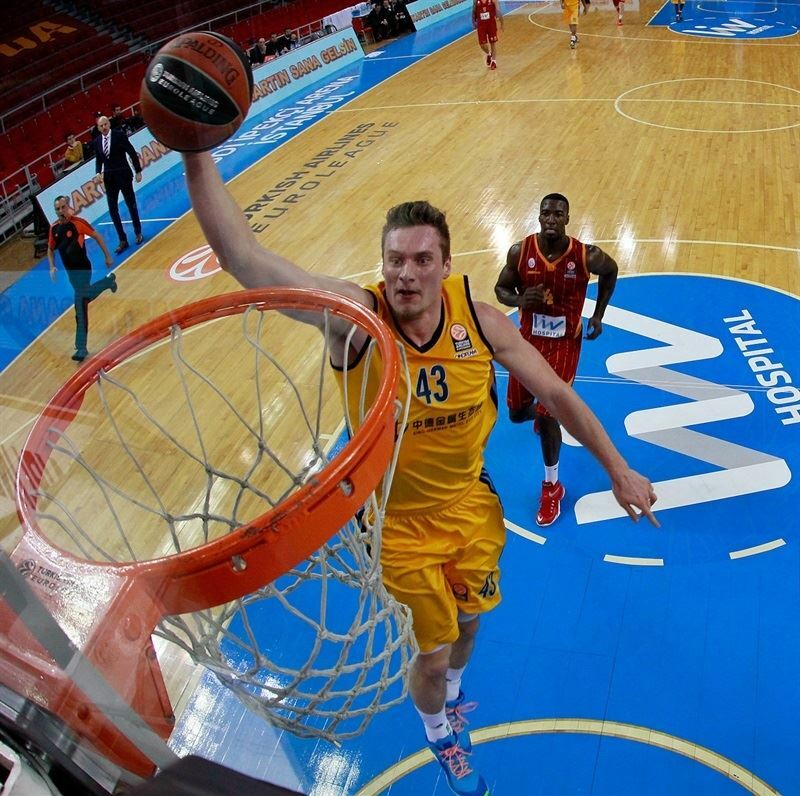 Pocius erased most of the Galatasaray deficit with a three-pointer. Renfroe threw a shot high off the glass, but Erceg connected from downtown to tie it at 54-54. Renfroe found a cutting Banic to put the visitors back ahead. Erceg countered with another shot. Radosevic scored on the offensive glass, but Micov answered him. Renfroe set up McLean for a slam and a 58-60 edge with five minutes remaining. Hammonds took a seat with 5 fouls, but a Radosevic jumper doubled the visitors’ lead. Carter drove through the ALBA defense to bring the hosts back within one possession. Redding drilled a clutch three with two and a half minutes to go for a 60-65 lead. Stojanovski hit another from downtown to increase the pressure on Galatasaray. McLean’s slam with 32 seconds left wrapped up the win as the visitors completed a three-and-a-half minute stretch without allowing a point to take a double-digit lead for a key win. 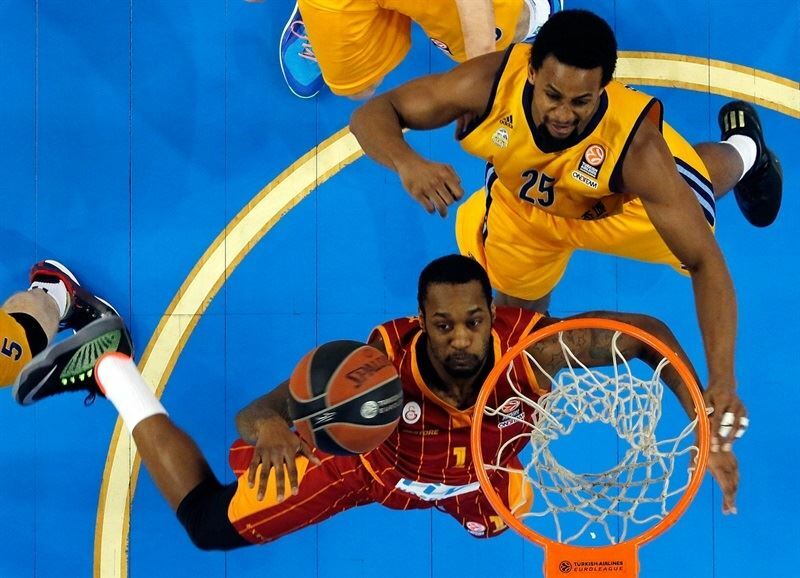 A pair of late ALBA turnover gave Galatasaray hope, but Redding iced the game from the line. 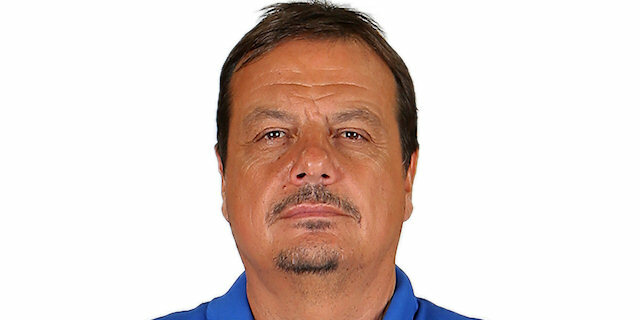 "It was not a typical game as Galatasaray, normally a favorite at home, was without fans, without Arroyo, their best player. On the other hand, the other guys who remained here for Galatasaray are quality players. I would like to have seen more efficiency, especially in our offense. But it was an extremely important win. Any Top 16 win is big for us." 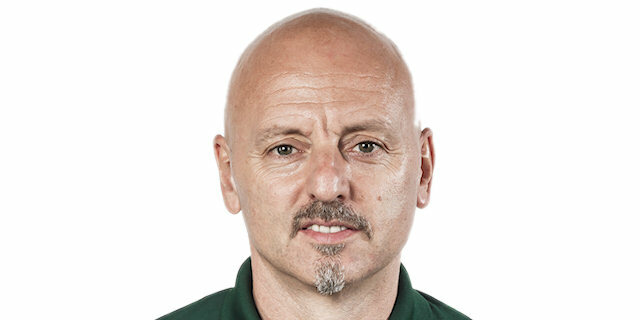 "It was tough coming here and playing with no spectators. It was real quiet. Both teams played good defense, and towards the end, Reggie Redding started making some shots for us and we made some good plays down the stretch that really helped us win that one."